What is a Missouri Living Will? Missouri Living Will: What Is It? 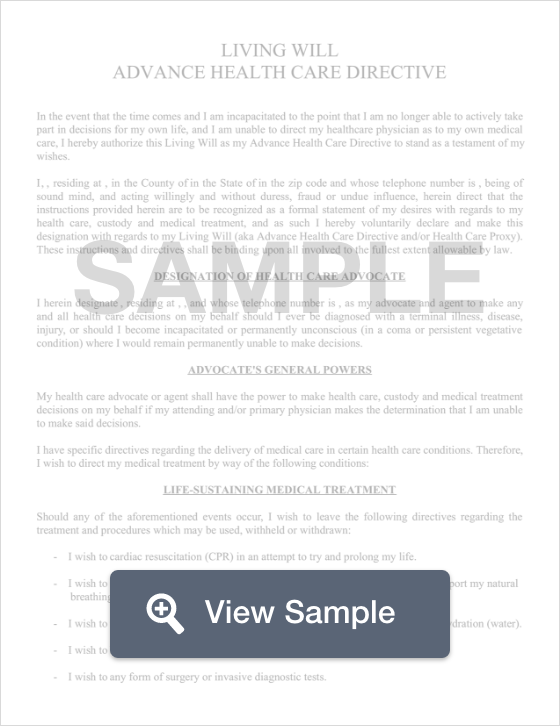 A Missouri living will is a legal document that you complete in order to record your wishes related to medical care. This document is relied upon in the event that you aren't able to make your own decisions. A Missouri living will also allows you to appoint someone to make your medical decisions if you cannot. This person is referred to as your attorney-in-fact. Your Missouri living will must be signed by two witnesses. If you give your attorney-in-fact permission to make your funeral arrangements or plans for cremation, your document must be notarized. Chapter 459: A Missouri living will may only be created in writing by a person who is considered legally competent. It is the responsibility of the person creating the document to inform their attending physician of the document so that a copy of the document is placed in the patient’s file. It is also important to create a Missouri last will and testament as part of your estate plan.